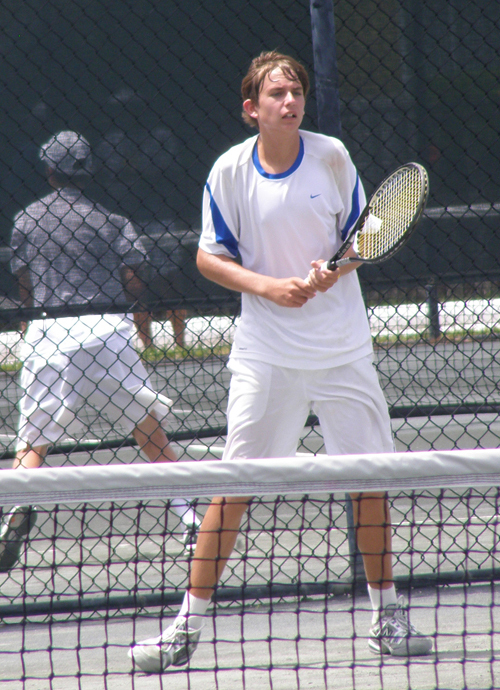 While I've been basking (actually, sweating) in the sunshine of Delray Beach and Boca Raton, there have been daily rain delays over in Fort Lauderdale, where the Boys' 14s are playing at the Jimmy Evert Tennis Center. It was time to go bring them some sunshine and check out this age group. 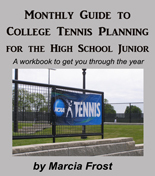 I worked many tournament desks with my friend Susan Krowitz, current Director of Tennis for Fort Lauderdale and former General Manager of the Port Washington Tennis Academy. It was good to see her, but there wasn't much catching up as the tournament was doing a good job of getting back on schedule. The tennis center is massive and navigating the courts is a bit tricky so I didn't see quite as much as I'd like. 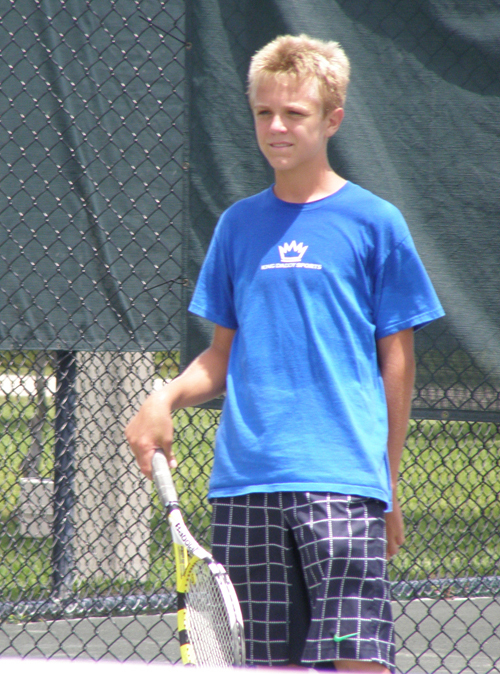 The Boys' 14s is one of the most unusual age groups since most boys don't mature as quickly as the girls do. You have some who appear to be hovering around four feet tall and not looking much different than they did in the 12s. Then there's the boys who tower over the aforementioned and you have to remind yourself they are all about the same age. 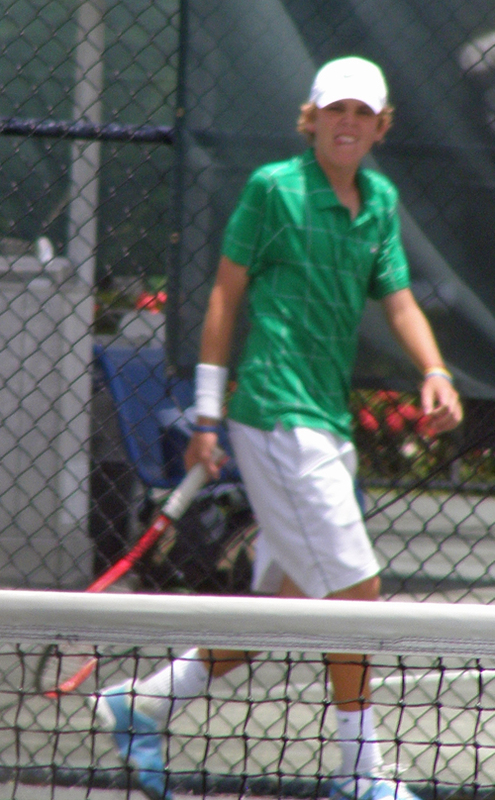 This is how I felt when I went from watching the speed of the petite Baker Newman (right) and Daniel Kerznerman -- who has grown some since last year -- vs. the power of the much larger Alexandru Gozun and Reilly Opelka. Both were very good matches even though they were won in straight sets by Kerznerman and Gozun. They were much different matches, though, and you have to imagine the possibilty of two players on the court with nearly two feet of height between them! This is where the talent and agility is so important in this age group, because you never know the size your fellow 13 year old will be. The big surprise of the day at the Boys' 14s wasn't so much of a shock to anyone who caught some of the match. No. 23 Jared Woodson was in the match from the beginning with second-seeded Zandrix Acob. 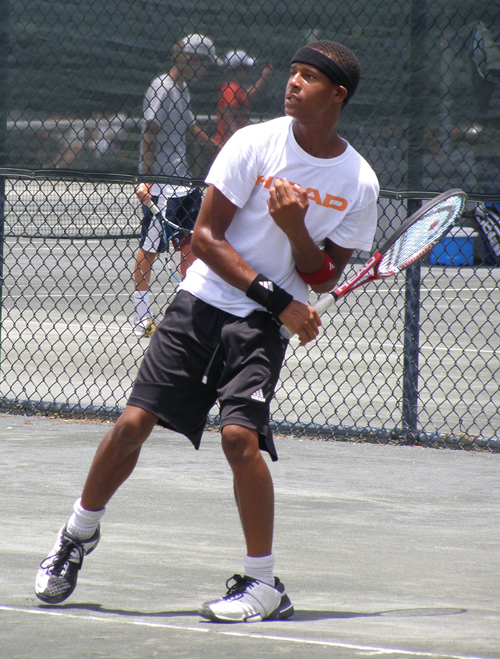 The two shared some tough points and games and in the end it was an upset for Woodson, 6-4,0-6,6-3. 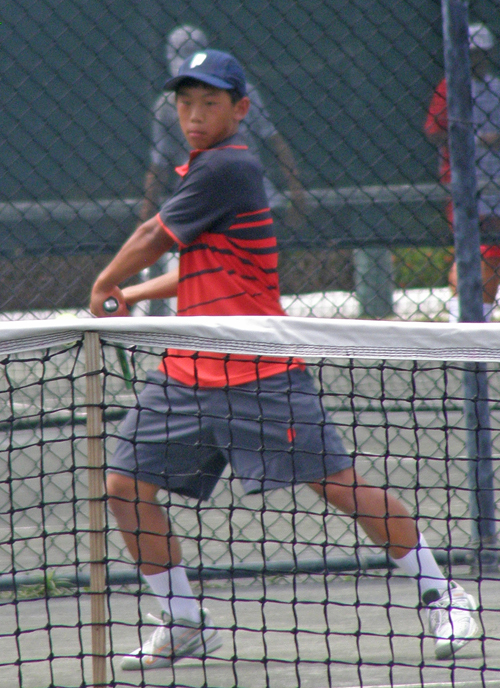 The only other match to stray from seeding slightly was Tate Allwardt (29) over William Chiu (16), 6-1,6-3. While I was in Fort Lauderdale, the Girls' 12s continued to remain on track with only one unseeded player -- Alerie Quiceno -- remaining. 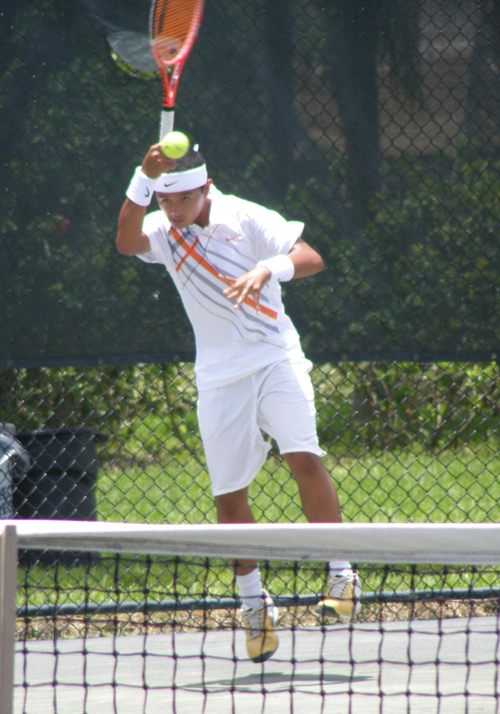 In the Boys' 18s, there were two more upsets (leaving six unseeded players). 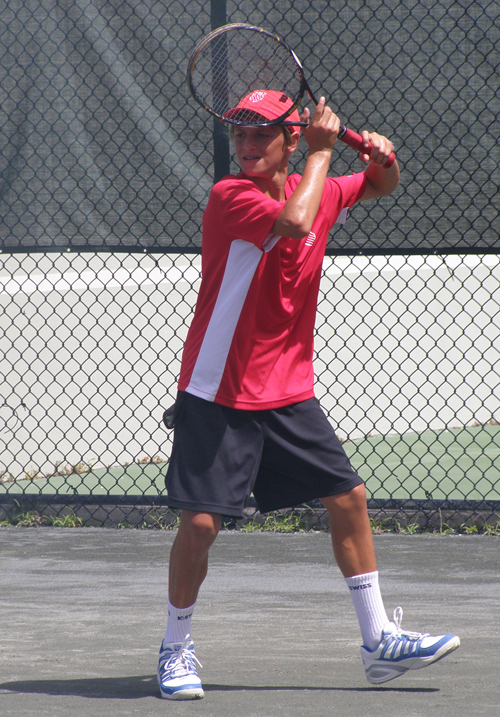 Ross Guignon beat alpha seed Rickey Baylon, 6-2,2-6,7-5, and Max Schnur defeated No. 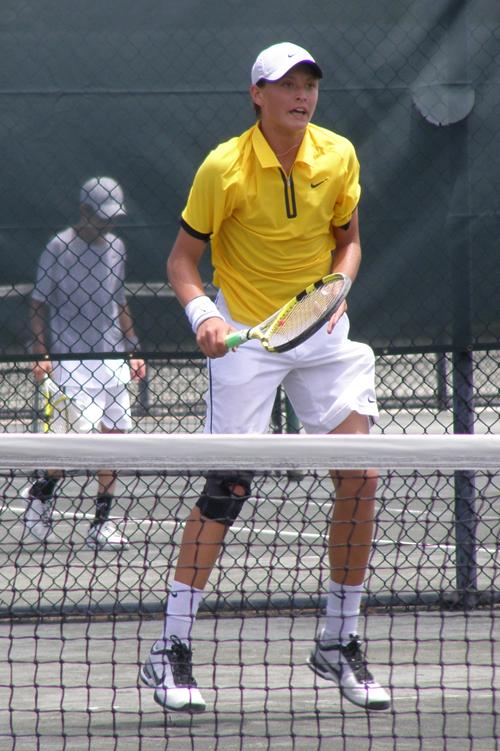 11 Dennis Novikov, 7-6,5-7,6-2. 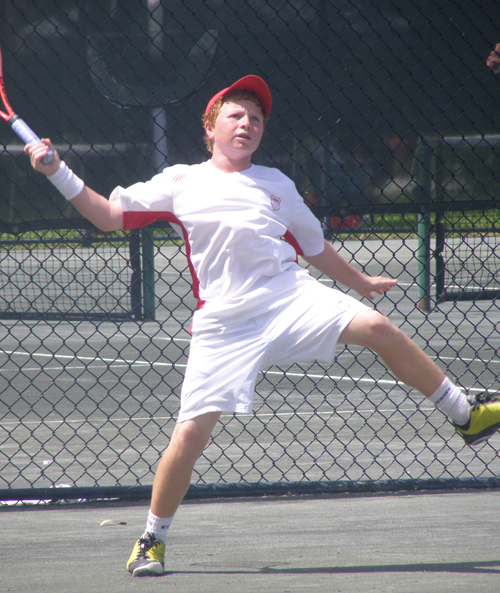 The Boys' 16s are now up to seven unseeded players, as Harrison Adams (17-32) fell to Luca Corinteli, 1-6,6-4,6-2. Thursday is a day of running for me as I go back and forth between Boca Raton and Delray Beach for the Boys' 18s & 16s, as well as the Girls' 14s. P.S. Check out Zoo Tennis for Colette Lewis's coverage of the Girls' 18s.